I was so excited when Mommy and Daddy came home from vacation that I broke daddy’s new sunglasses in one chomp. I’m ashamed but at least I look awesome with my new glasses! Posted March 5th, 2014 . Hahahaha! 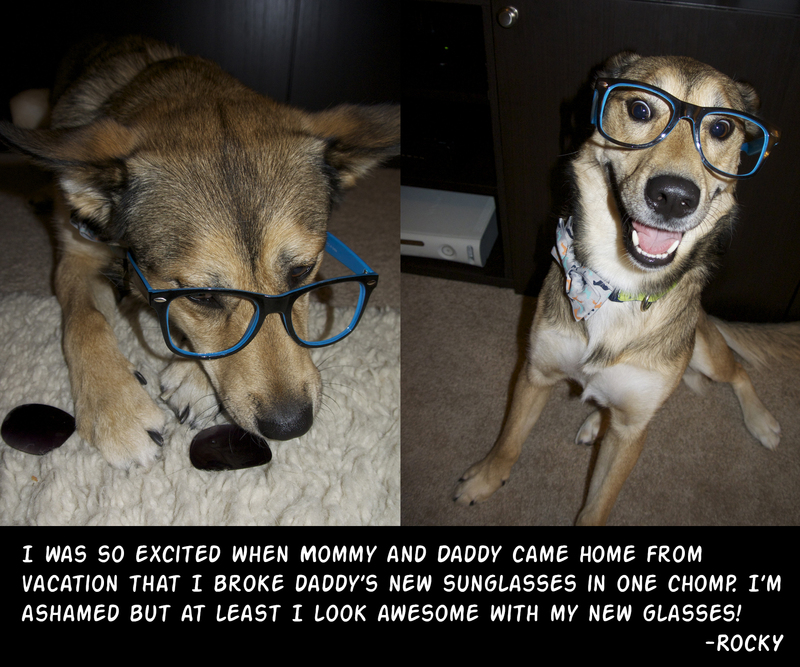 He looks great in those glasses. But he probably already knew he would. He has such a big smile on his face!!! You do indeed big fella. What a great smile. I got my Glasses…and my jaunty bow tie…I one happy doggie!!! He is so happy! Nothing better than a smiling dog.